Embrace your inner equine and celebrate the upcoming year! 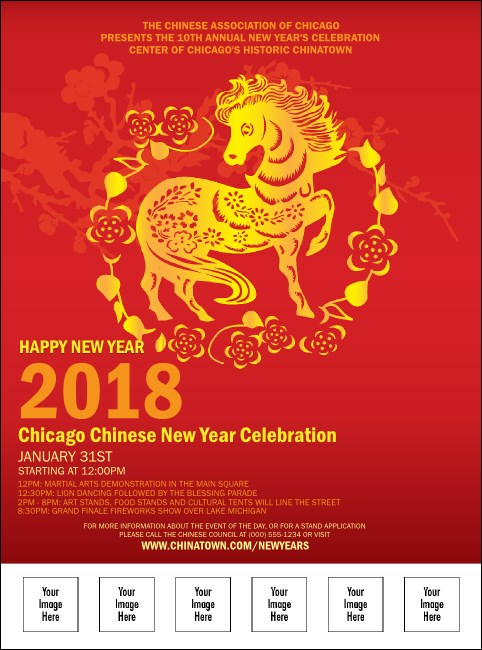 The Chinese New Year Logo Flyer features a deep red background, a beautiful yellow and orange design, and room for six of your own custom images. Showcase event sponsors or special guests with this unique flyer.